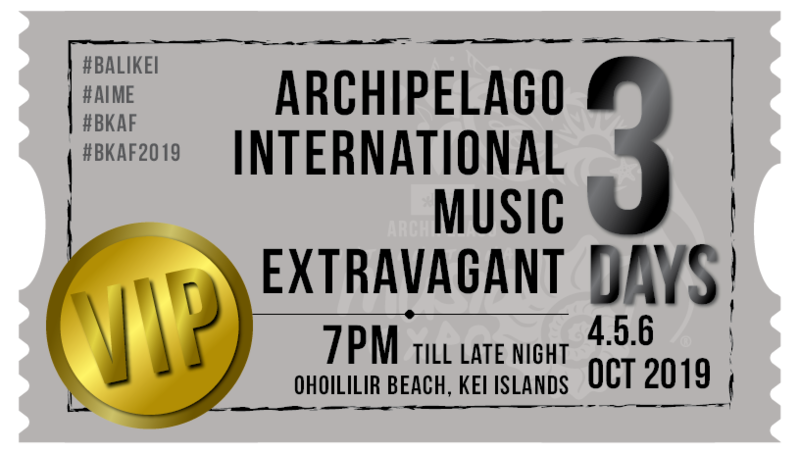 This is an Archipelago Music Expo 3 days pass VIP admission ticket. Valid for four 4, 5, and 6 October 2019. As VIP 3 Days pass ticket holder you are entitle to a choice of two complimentary drinks and one buffet dinner/ticket/day – Choose one, either beer or soft drink. 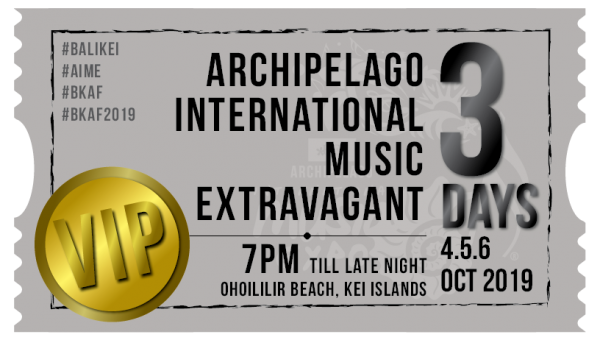 This is an Archipelago Music Expo 3 days pass VIP admission ticket. Valid for four 4, 5, and 6 October 2019. The ticket holder will get two complimentary drinks and one buffet dinner when enter the venue. You need to make your choice before purchasing your tickets . Do not loose your ticket; no entry allow when you are unable to show prove of purchased ticket – NO EXCEPTION. Terms & Conditions applied.